Arnold Alois Schwarzenegger is an Austrian-American bodybuilder, actor, businessman and politician, and served as the 38th Governor of the state of California. Arnold gained worldwide fame as a Hollywood action film icon. Schwarzenegger was nicknamed "The Austrian Oak" and "The Styrian Oak" in his bodybuilding days, "Arnold Strong" and "Arnie" during his acting career, and more recently "The Governator" (A portmanteau word of Governor and Terminator, one of his film roles). As a Republican, he was first elected on October 7, 2003, in a special recall election to replace then-Governor Gray Davis. Schwarzenegger was sworn in on November 17, 2003, to serve the remainder of Davis's term. 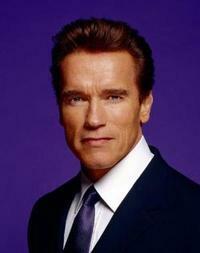 Schwarzenegger was then re-elected on November 7, 2006, in Arnold Alois Schwarzenegger is an Austrian-American bodybuilder, actor, businessman and politician, and served as the 38th Governor of the state of California. As a Republican, he was first elected on October 7, 2003, in a special recall election to replace then-Governor Gray Davis. Schwarzenegger was sworn in on November 17, 2003, to serve the remainder of Davis's term. Schwarzenegger was then re-elected on November 7, 2006, in California's 2006 gubernatorial election, to serve a full term as governor, defeating Democrat Phil Angelides, who was California State Treasurer at the time. Schwarzenegger was sworn in for a second term on January 5, 2007. In May 2004 and 2007, he was named as one of the Time 100 people who help shape the world. Schwarzenegger was married to Maria Shriver and has four children. Is this you? Let us know. If not, help out and invite Arnold to Goodreads.